UML is a software designer's dream-come-true. By providing a standard visual notation for design, UML does for software what blueprints have long done for houses and buildings. UML allows our developers to describe and communicate the structure and intricacies of our software designs. Apache is by far the world's most popular web server, primarily because it's fast, full-featured, and free! This unlikely combination is possible because Apache is an open-source project, which means that programmers from around the world donate their talent to add features, perform tests, and fix bugs. With so many eyes watching, Apache has become as solid as software gets. Flash is a vector-based illustration and animation program. We use it to make lightweight web animations and demos (such as the Plate-It test drive test drive). While not as good as Java for sheer programming power and graphic expressiveness, it's perfect when you want something small that downloads quickly. Photoshop is used to manipulate bitmap images such as those from scanners and digital cameras. It's basically an electronic darkroom. We use it constantly to tweak and enhance photos and logos in our websites and software. We use Illustrator when we want vector-based drawings that are easier to manipulate than bitmaps. 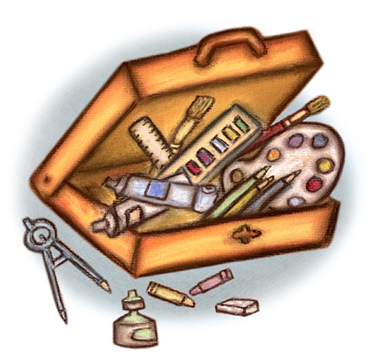 Illustrator is capable of producing a wide range of artwork from black and white logos to full color illustrations. Like Photoshop, Illustrator is a standard in the graphic design industry. Fireworks is another image editor that combines the most commonly used features of bitmap editors, like Photoshop, and vector-based editors, like Illustrator. It's particularly well suited for web-specific images such as rollovers and buttons.